Juicy ground pork meatballs with pepitas and raisins served with a traditional Mexican nogada sauce made with walnuts. 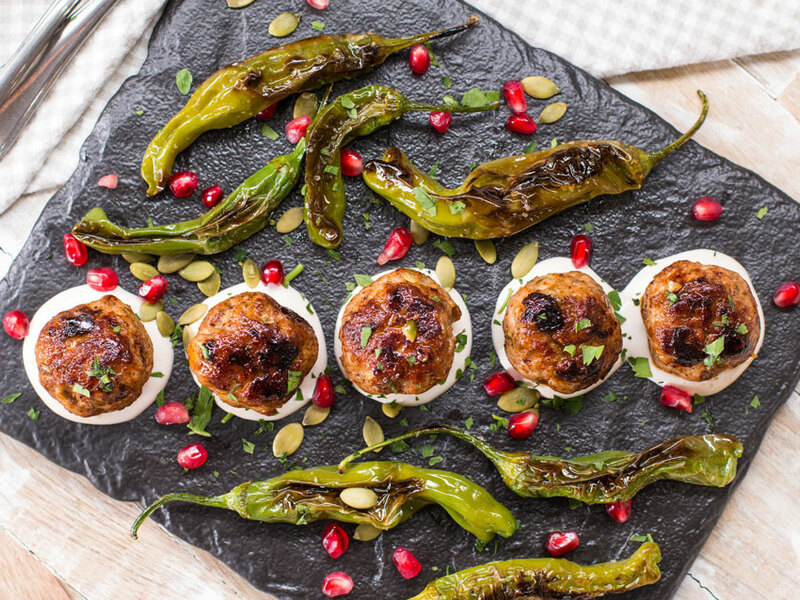 If you are looking for a funky new take on meatballs, then this recipe is for you! 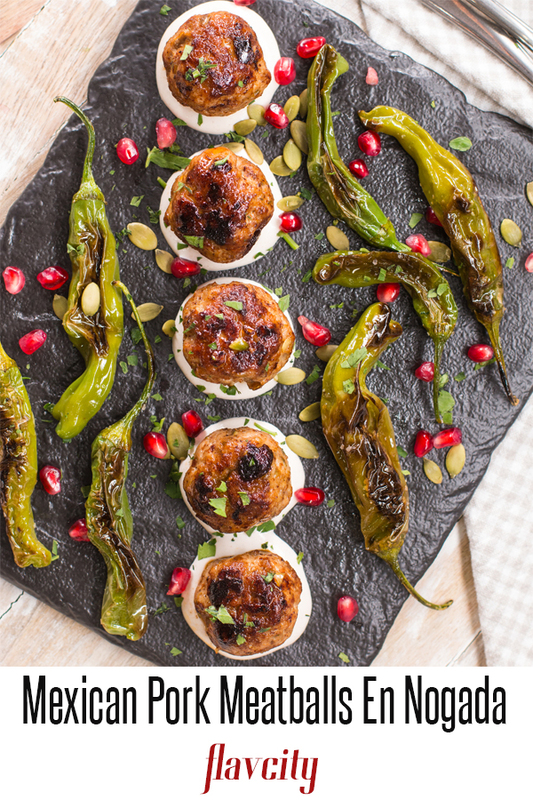 These ground pork meatballs are studded with pepitas and raisins, and cooked until crusty on the outside and juicy inside. The pork meatballs are served with a nogada sauce made of walnuts, and goat cheese, the perfect tangy sauce to compliment the rich pork meatballs. 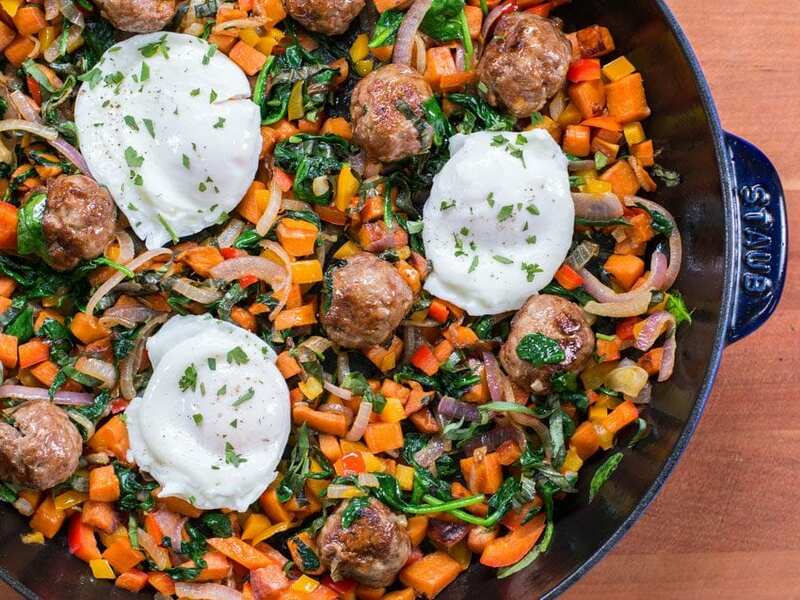 If you are looking for more meatballs recipes, check out my ultimate Italian meatballs and my mini lamb meatball breakfast scramble. These meatballs are a great way to use ground pork in an exciting new way, and are perfect for a party or get together. Put out a big tray of these meatballs and they will be gone in no time at all. 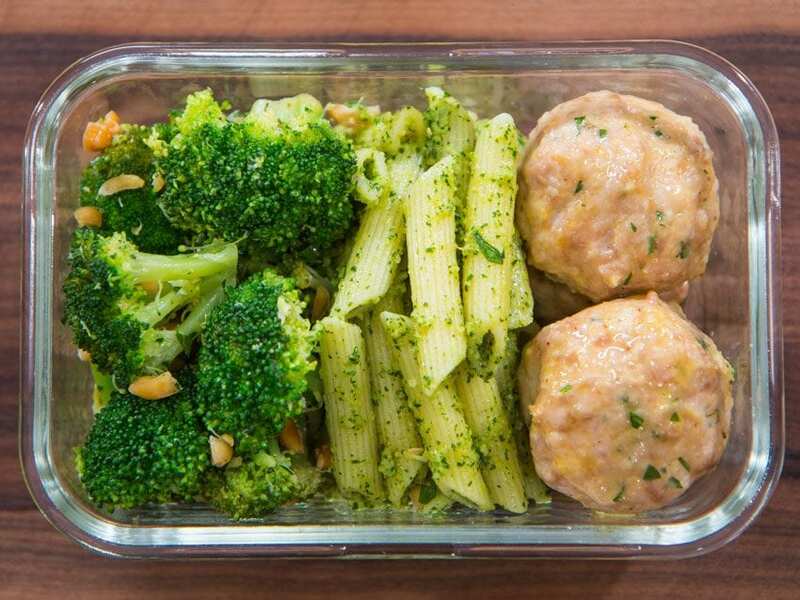 Using ground pork for this recipe ensures that the meatballs are very juicy and won’t dry out. Season the ground pork with ancho chile powder, cumin, cilantro, and oregano, then add the raisins and Mexican pumpkin seeds know as pepitas. The balance of sweet, heat, and crunch is fantastic for this ground pork recipe. All you have to do is form the meatballs to a small size and cook them in a hot cast iron pan until cooked through and nice and crusty on all sides. 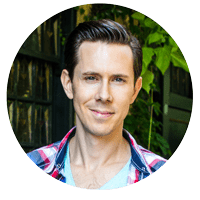 Dessi and I love the classic Mexican dish chile en nogada, it’s a poblano pepper stuffed with ground meat, raisins, and covered with a white walnut sauce. 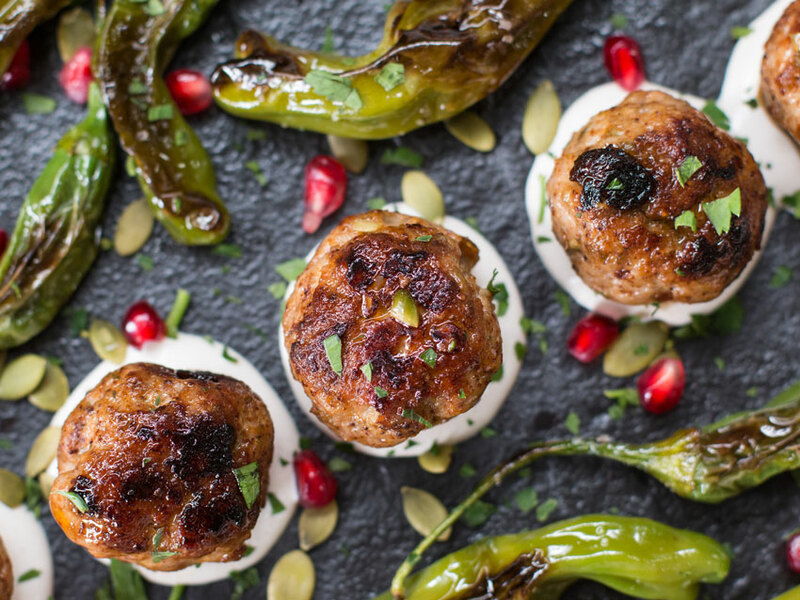 It’s a bit complicated to make, so we decided to make this easy pork meatball recipe in the style of nogada. It is served with blistered shishito peppers and garnished with pomegranate seeds for color and texture. 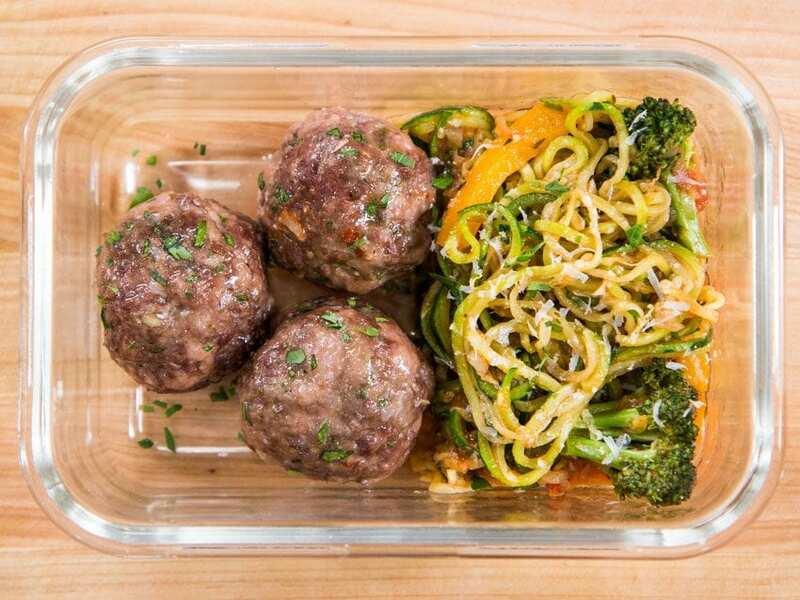 Do I Need To Cook Meatballs In The Oven? As long as you form the meatballs on the smaller side, you can cook them in the pan over medium-high heat. Just make sure to cook the meatballs on all sides and if you are not sure they are cooked through, cut one in half. I like to use a cast iron pan to cook the pork meatballs because it helps make them really crusty, but a non-stick pan will work also. 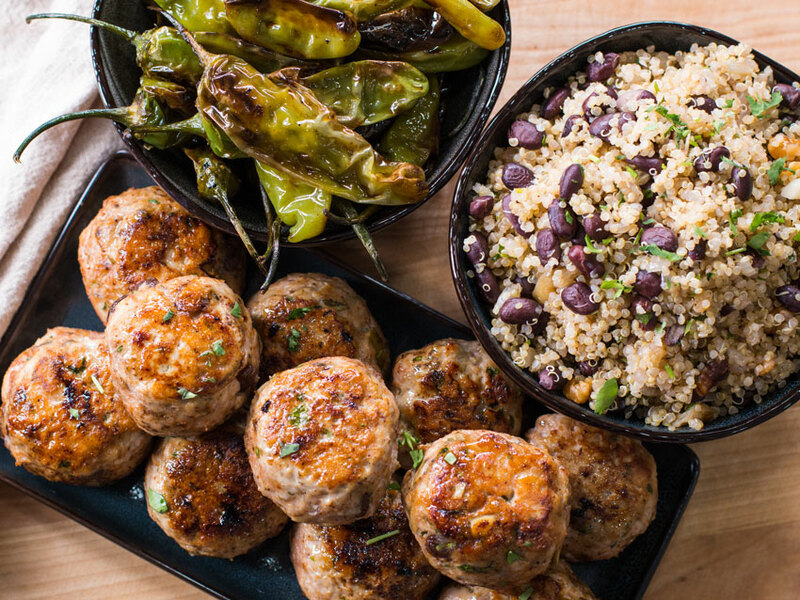 Ground pork meatballs seasoned with ancho chile powder, crunchy pepitas, and sweet raisins. For the meatballs, add the ground pork to a large bowl along with the ancho chile, cumin, oregano, raisins, pepitas, ½ teaspoon salt, and a coupe cracks of pepper. Mix very well using your hands and then form into meatballs that are slightly smaller than the size of a golf ball. Keep formed meatballs in the fridge until ready to cook. To make the sauce, add all the ingredients to a blender and blend on high for 30 seconds. Check for seasoning, you may need a little more salt. The sauce should be thick, if not, keep blending. Set aside. For the peppers, pre-heat a cast iron or non-stick pan over medium-high heat with 1 teaspoon of oil. Add the shishito peppers and cook for 4-6 minutes, until both sides of the peppers are charred and blistered. Turn the heat off, add ¼ teaspoon of salt and remove from heat. Using the same pan, pre-heat over medium-high heat with 2 teaspoons of oil and add the meatballs. You may have to work in 2 batches if they all don’t fit in the pan. Cook for 10 minutes, or until all sides are brown and the internal temperature of the ground pork in 160 degrees F.
To serve, add some sauce to the bottom on a plate or platter and place the meatballs on top. Add some peppers around the plate and garnish with the pomegranate seeds, parsley, and a few more pepitas. Serve extra sauce on the side and enjoy!